The Bigelow House as it appeared during the 1860s. The Carpenter Gothic style borrowed elements from medieval church architecture and reinterpreted them in wooden construction: a steeply pitched roof, gothic (pointed) arches, decorative millwork that suggested the carved stone of old cathedrals. It was a style that peaked in popularity back east at about the time early pioneer settlers were moving west. The Bigelow House Museum Collection. The foundation shows that the house was built in two stages. The front half was constructed first and sits on a raft of charred cedar logs measuring 16”-18” in diameter. This was a common practice to preserve the wood from beetles and rot. The back half was added later (although it is not known how much later) and uses a more contemporary pier and pad construction method. In 1905 Ann Elizabeth modified the room layouts, added the stairs in the library and substantially changed the old kitchen into a formal dining room and the milk room into the current kitchen. These remodels allowed the family to rent rooms to boarders and generate additional income. There was another phase of renovation in 1950 after Ruth died. The rear kitchen was modernized and a hot water radiator system was installed. The most recent modifications occurred in 1995 when the house was sold to the Bigelow House Preservation Association. Daniel Richardson 7 BIGELOW was born in 1824 and raised in New York State. Two years after reading law at Harvard, he crossed the Oregon Trail. He arrived in the small frontier settlement of Olympia in late 1851 where he established a law practice, filed a Donation Land Claim and threw himself into local politics. 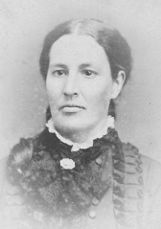 Ann Elizabeth White Bigelow was only 14 when her family came west from Wisconsin that same year. 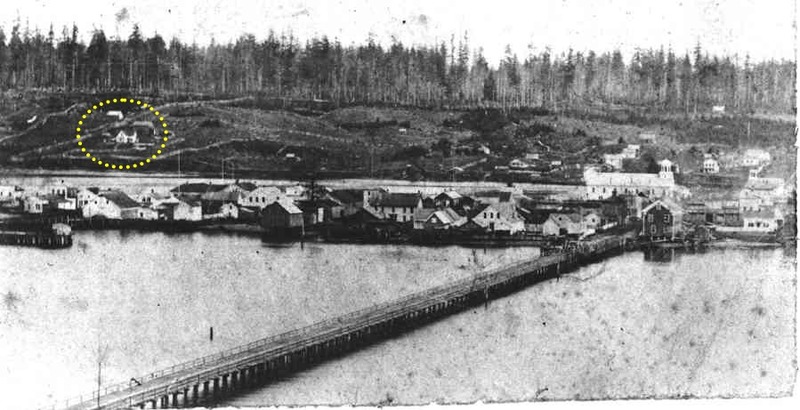 By 1853, she was teaching school near the Nisqually River. In 1854, Elizabeth and Daniel married and moved to a tiny cabin on his land claim. Soon afterwards they built their neat, white two-story home, and raised eight children. Known as the “Father of Washington State,” Daniel was among the first settlers to call for the separation of Washington from Oregon Territory. 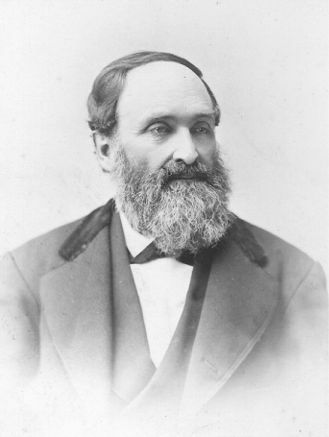 He served in the first Washington Territorial legislature and held a number of other offices during his long career. He and Elizabeth were ardent supporters of education, civil rights for non whites, suffrage, and temperance. diary of D. R. Bigelow. 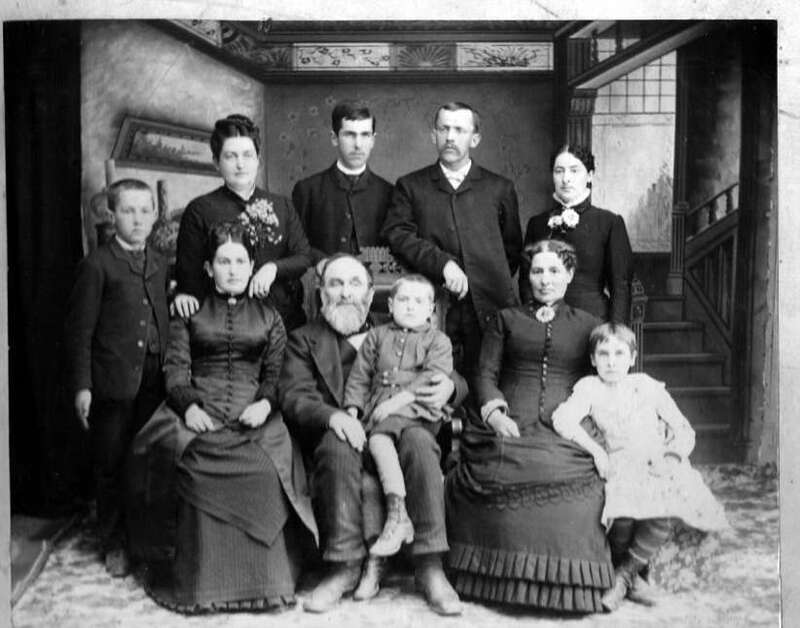 This family portrait was taken in 1889 and shows all eight of their children. Jotham “Duncan” Bigelow (1871-1969), William Ellis Bigelow (1862-1891), and Ruth Bigelow Wright (1860-1950). George Bigelow (1881-1961), Ann Elizabeth White Bigelow (1836-1926), and Margaret Bigelow (1878-1937). 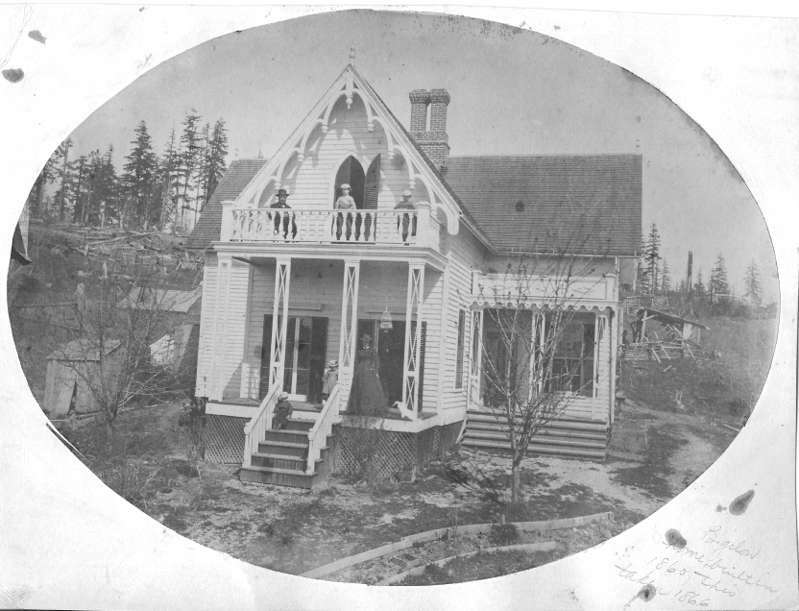 Olympia's oldest surviving home was built by pioneer lawyer Daniel R. Bigelow and his schoolteacher wife, Ann Elizabeth White Bigelow, sometime before 1860. Its style is primarily Gothic Revival or "Carpenter Gothic," one of the most popular American architectural fashions of the day. The earliest part of the house rests on a foundation of whole cedar logs that were hardened by fire to protect against rotting, much as Northwest Native people prepared logs for cedar canoes. Both Mr. and Mrs. Bigelow came west over the Oregon Trail-he as a sober bachelor and she as a teen with her family-in 1851. They met here, married in 1854 and lived at first in a tiny cabin that stands (though greatly altered) on the grounds of the Bigelow House. 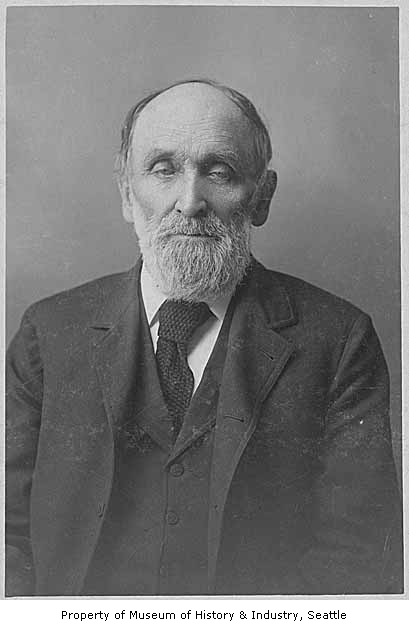 Daniel Bigelow served in the Washington Territorial Legislature and held many other civic offices, including county treasurer and superintendent of schools. Both he and Ann Elizabeth were fierce supporters of voting rights for women. In 1871 the famous suffragist Susan B. Anthony dined at the Bigelow House while passing through Olympia on one of her lecture tours. Like many other settlers, the Bigelows developed a small farm on their homestead. Several gnarled fruit trees from their pioneer orchard still grow at the Bigleow House and in the gardens of neighboring homes. The historic Bigelow House, still occupied today by members of the Bigelow family, was purchased in 1994 by the Bigelow House Preservation Association and carefully restored. 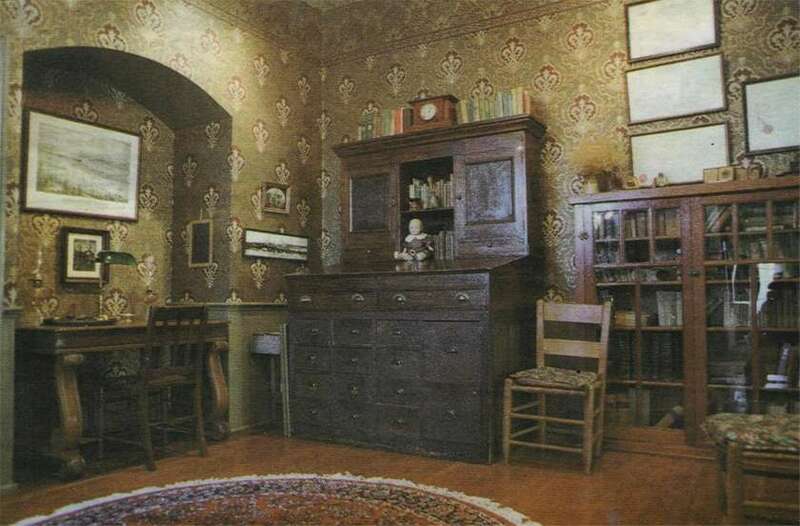 It contains an unusual collection of original family furnishings and is open to the public as a historic house museum. The Bigelow House is located on Glass Ave NE, just off East Bay Drive. It is listed on both the National and Washington State Registers of Historic Places, as well as on the Olympia Heritage Register. Please see http://www.bigelowhouse.org/ for more information. The Bigelow House Museum is the oldest residence in Olympia, Washington, and one of the oldest still standing in the Pacific Northwest. 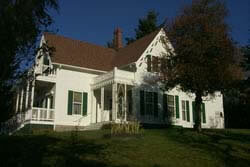 It was built circa 1860 by pioneer lawyer Daniel R. Bigelow and his schoolteacher wife Ann Elizabeth White Bigelow. Surrounded by more than an acre of the family’s original land claim, the house is charming example of the Carpenter Gothic style popular in rural America during the mid-1800s. The Bigelow House has been home to a single family—a family that saved things— for more than 140 years. It contains a remarkable collection of original furnishings, phots, documents, and other personal belongings. 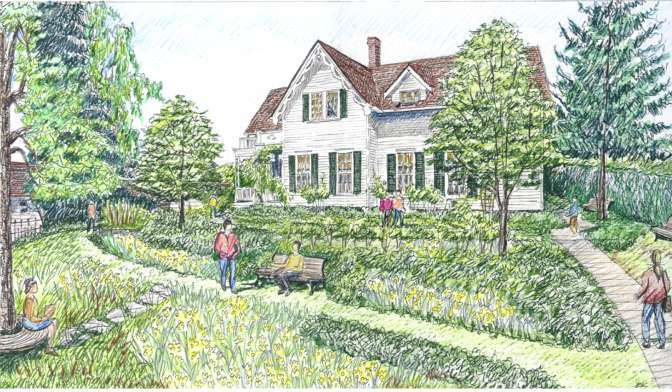 From pioneer fruit trees out in the garden to elaborate late-19th Century handcrafts worked by Bigelow women, the Bigelow House reflects the life work of four successive generations of Bigelow family members. Bigelow House Museum offers a tantalizing glimpse of life in Puget Sound Country before Washington became a state and American women won the vote. Opened to the public as a Museum in 1995, visitors may tour the ground floor of the house, its gardens and the historic neighborhood. The Museum hosts several events throughout the year. Special tours can be arranged year round.